Specially designed for Apple the new ipad 4th ,New Ipad, 3rd? Gen.
360 rotation, making it simple to transition between landscape and portrait options, the 360-degree feature allows for more viewing versatility while keeping your device in the case. 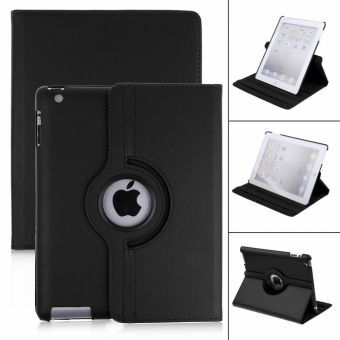 Made of high quality Polyurethane (PU) leather with soft micro fiber interior lining. Elastic band holds iPad closed securely.